LAMMY was set up in 1976, in Ji-Paraná, Rondônia. At THAT time the city was just a small village, in pursuit of identity, in a zone completely needy of infrastructure in all aspects. The commercial expectations were merging and enlarging. In 1980 the company started to produce furniture, flexible and marine plywoods, DUE TO THIS Lammy merged in the construction, marine and furniture industries,ensuring high quality. Great investments in machines and latest equipments were made. That way IT became: ” Lammy compensados” (Lammy plywoods), SINCE this was its main product at the time. 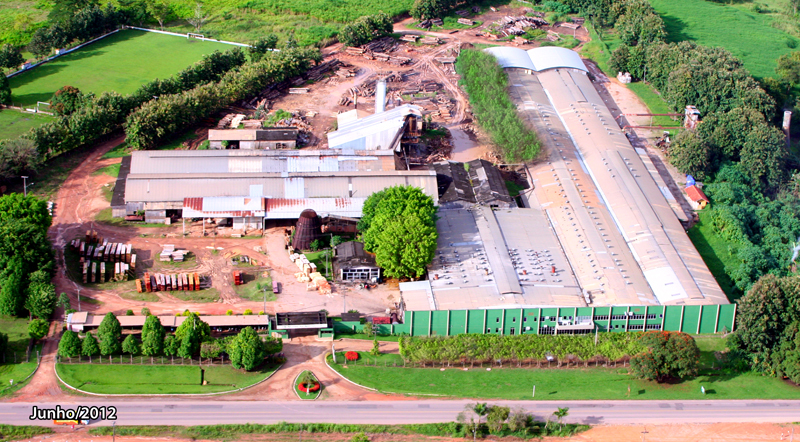 In 2011, the industrial yard Lammy was acquired by the Rondônia Rural Agroindustrial Ltda., a company set up in 1991, in Ji-Paraná, Rondônia. Currently, using its new brand: NOVA LAMMY (New Lammy). Changings are being made in the management plan, and reorganization of the industrial yard. Marine plywoods, Flexible plywoods, Ornamental plywoods, with tropical and exotic slabs, long wooden strips of hard woods, parquet, decks, solid wood FOR BULIDING PORPOUSES , and marine construction, and solid wood to produce furniture and objects. The State of Rondônia and the North zone of the country, thereafter HAD GOTTEN an industry with completely labored and high quality products. Nowadays, NOVA LAMMY has the best and one of the biggest timber industrial yard of Brazilian North zone. IT’S also merging in the production of light materials, with a new product: Compensado LammyLight (LammyLight plywood), wich is almost 40% lighter than standard products, with a super flat covering that AND can also be offered in ornamental veneer slab with Teka wood. A product gauged to more or less 4mm thickness, without vacuous in the cores, and EASY MACHINING. VERY GOOD WORKING BEHAVIOR, AMING TO AN IMPROBED AND WIDER ATTENTION TO THE NAVY, building, and furniture markets, the company is also a great White Virola plywood supplier to the European, American and Middle East markets. NOVA LAMMY, WITHIN THE Brazilian market actualizes as one of the market leaders, and IT’S becoming reference AMONG the productive AREAS of THE SPECIALIZED architecture, as well as the marine building and furniture market. On the lumber and machined section, NOVA LAMMY offers the VERY best, FINEST Brazilian tropical wood SPECIES. New Lammy , OWES managed forests , WHICH follow all THE environmental norms of the Brazilian FOREST agencies and has a fully trained staff TO HANDLE AND APPLY these ENVIROMENTAL concepts . USING THE Sustainable Forest PLANING & Management . IS ALWAYS Through these forest management, THAT NOVALAMMY GETS ITS supplies of raw materials, such as tropical and exotic trees , lianas and dead roots , as well as HIGHLY VALUEABLE exotic SPECIES SUCH AS THE “teak” (Tectona grandis) tree . Nova Lammy and Valeria Totti ( North Brazil Eco Design ) , are companies that care about the wood , long before the implementation of their projects for sustainable forest management , in which they manage an environmentally friendly and socially fair relationship make them modern in its vision and mission . The Valeria Totti division , uses wood ( logs ) that are usually discarded by the furniture industry because of a very low degree of utilization , BECAUSE OF the amount of ” defects ” presentED in THESE logs . ALMOST ANY WASTE WHICH IS DISCHARDED for THE WOOD industry, FOR Valeria Totti is the detail that makes the FINAL product unique. VALUING AND REMARKING Its natural and organic design. Valeria Totti , with THE keen , sensitive and AT THE SAME TIME delicate, strong hands of their craftsmen , turns and explores the forms created by nature . Wood marked by rain, sun , insects , and other animals of the forest , makes a difference in the details. Únicos.Peças records each with its own ” DNA ” . Valeria Totti , is not a product but a concept , a style . A concept which not only talks quality , distinctive design and Brazilian beyond comfort, but the real concern for the environment and the client as absolute and indispensable factor in creating their pieces . This arguably makes his distinguished and unique art . The forest staff Nova Lammy , maps our forests , studying the legal commercial species , cataloging the trees and through this study , determine the cuts due. This all in partnership with the industrial and commercial production sector . Track access forests are also planned for removal of trees and the extraction and transport are specific . There is a whole area that monitoring of recovery after cutting the species , so every year there will be ready for cutting trees , provided that the preservation of seedlings of other species and the care that continues fauna in their natural habitat. Our raw material comes from forest to forest management in forests themselves. Detail that makes the product unique. It is the natural design.